This online costume store has amazing cartoon character costumes for Adults and Children! All costumes are shipped fast from Sydney! Style it up in cartoon characters costumes, Batman costume or cartoon superhero costumes, Toy Story character dress up to Winnie the Pooh costume, or Mickey Mouse animated costume ideas. Kids will look adorable in Clifford the Big Red Dog or Shrek costumes! Run wild in Aladdin's Jasmine costume or warm frozen hearts as Frozen's Anna! Revisit old favourites like The Flinstones, Scooby Doo or The Simpsons! Nostalgia will kick in as you recall old-school Sailor Moon and Peanuts. As Charlie Brown would exclaim, "Good grief! 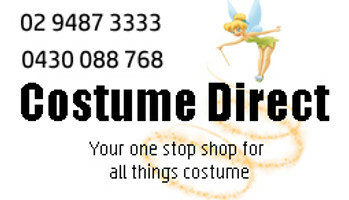 ", at our selection of cartoon character costumes for adults and kids!